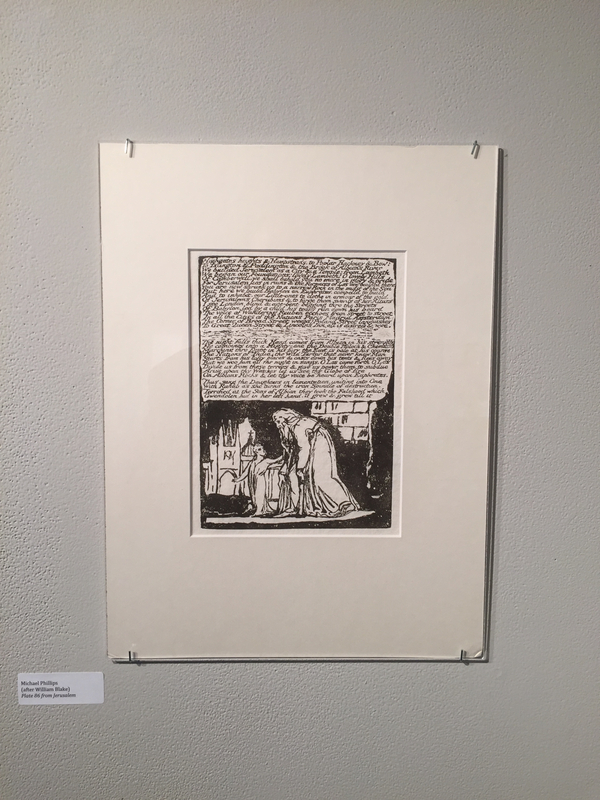 William Blake's original, Jerusalem plate 84, Copy E.
This page displays Michael Phillips’s reproduction, after William Blake’s original, of Plate 84 of Blake’s Jerusalem: The Emanation of the Giant Albion as it was displayed in the Blake in the Heartland exhibit at Tiffin University, which ran March-April 2015. Blake’s Jerusalem is the longest of his illuminated books, and it was produced between 1804 and 1820 in London after Blake ended his three-year residence near the southern coast of England in Felpham, Sussex. It currently exists in ten copies, with one copy known from the historical record but currently unlocated. The image of Blake’s original below is taken from Wikimedia Commons, and it is followed by a reprint of the image after Blake’s original by Michael Phillips. 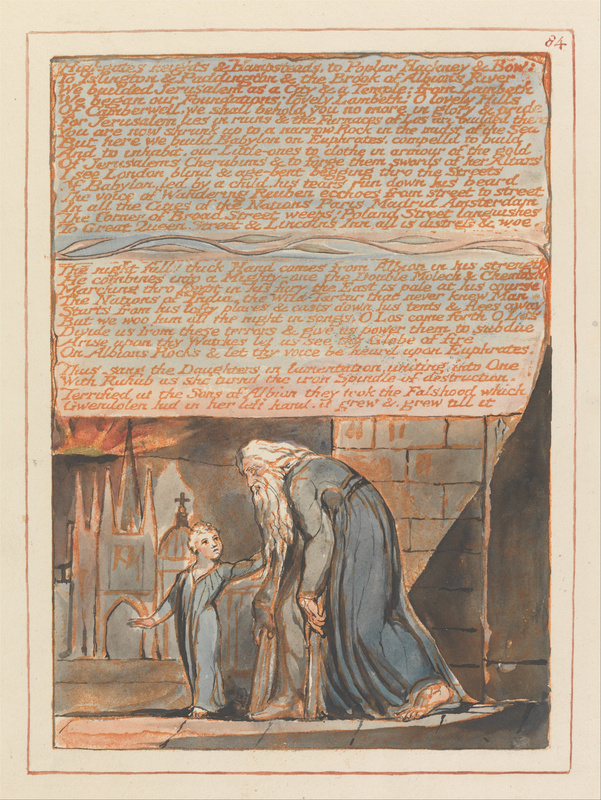 View the William Blake Archive’s holdings of Jerusalem or read it at the Blake Digital Text Project. William Blake’s original, Jerusalem plate 84, Copy E.